To open a ticket or for live chat, navigate to the Resource Centre from the Support menu in Bullhorn. Want to learn how Bullhorn can help your business? To open a ticket or for live chat, navigate to the Resource Centre by selecting Resource Centre from the Help menu in MaxHire. To open a ticket or for live chat, navigate to the Resource Centre by selecting Resource Centre from the Help menu in Sendouts. As GM for Bullhorn’s APAC business, Aaron McIntosh oversees all business functions in the region. He also leads the solutions consulting team locally, ensuring our customers have an incredible experience when transitioning to Bullhorn. He has over 20 years working various roles within the technology industry and joined Bullhorn in 2013 in the London office before relocating back to Australia in 2015. During his tenure, he has helped numerous customers make the move to Bullhorn including Kelly Persol, Ambition, Hudson, and many others. He is passionate about technology and in particular how technology can be used to solve business issues and problems that are inhibiting growth within recruitment businesses. He has a Bachelor of Engineering (Electrical and Computing) with Honours from Monash University in Melbourne. 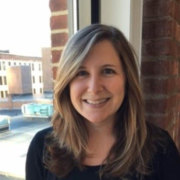 As the Senior Vice President of Customer Success, Tamsyn leads Bullhorn’s Services and Customer Success teams. She is responsible for successful delivery of all products and services globally and is committed to creating and maintaining incredible long term customer experiences in the candidate to cash process. Tamsyn has been delivering implementations for over 25 years with companies such as SAP, Ariba, Zuora: specialising in HR, Payroll, Procurement and Quote To Cash capability. She trained as a software engineer after studying Maths, Statistics, and Computing in England. 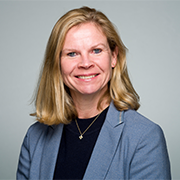 As the Director of International Marketing at Bullhorn, Catherine is responsible for all international marketing efforts across EMEA and APAC. Catherine has been with Bullhorn based in the Boston office since 2010 and has recently relocated to London. Over her tenure, she’s overseen several marketing functions including demand generation, marketing operations, and events. She is passionate about marketing technology, building high-performing teams, and leveraging both to drive for results. Catherine has a Bachelor of Arts in Global Studies from Providence College. 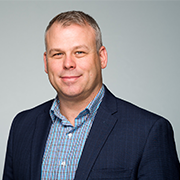 Peter oversees Bullhorn’s international operations outside North America in his role as Executive Vice President of Corporate Development and International. Peter joined Bullhorn in 2009 and was responsible for its highly successful UK launch and continued expansion internationally. Peter has grown the international team to over 100 staff, established Bullhorn as the UK’s market leading recruitment software and has expanded Bullhorn’s reach into EMEA and APAC, achieving a user base of more than 30,000 international users. Prior to taking on the launch of Bullhorn International, Peter spent 20 years working in the recruitment industry and held a number of senior director roles before moving into the technology space. Get Your Price Quote Today!